was one of the largest stores of its kind in the southeast. Even wild mustangs, shipped from Texas by rail, were sold here. During WW II the store’s buyers traveled to New York City for the latest fashions. Their catalog later replaced by the Brewton Trade Record newspaper, served the areas of south Alabama, northwest Florida, and eastern Mississippi. For many years prominent historian and attorney Ed Leigh McMillan had his law offices on the third floor. J. E. Finlay died in 1946. 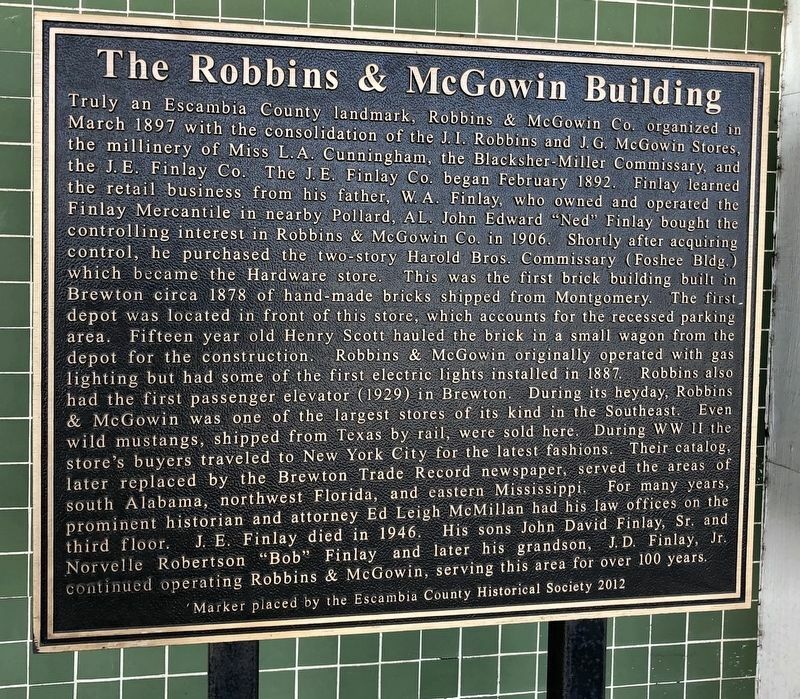 His sons John David Finlay, Sr. and Norvelle Robertson "Bob" Finlay and later his grandson, J. D. Finlay, Jr. continued operating Robbins & McGowin, serving this area for over 100 years. Erected 2012 by the Escambia County Historical Society. Location. 31° 6.2′ N, 87° 4.322′ W. Marker is in Brewton, Alabama, in Escambia County. Marker is at the intersection of St. Joseph Avenue (U.S. 31) and Mildred Street (U.S. 29), on the right when traveling north on St. Joseph Avenue. Touch for map. Marker is at or near this postal address: 100 St. Joseph Avenue, Brewton AL 36426, United States of America. Touch for directions. (approx. 0.2 miles away); Escambia County Veterans Memorial (approx. 0.2 miles away); The Leigh Place (approx. ¼ mile away); Second Saint Siloam Missionary Baptist Church (approx. 0.6 miles away); Union Cemetery (approx. 0.7 miles away). Touch for a list and map of all markers in Brewton. More. 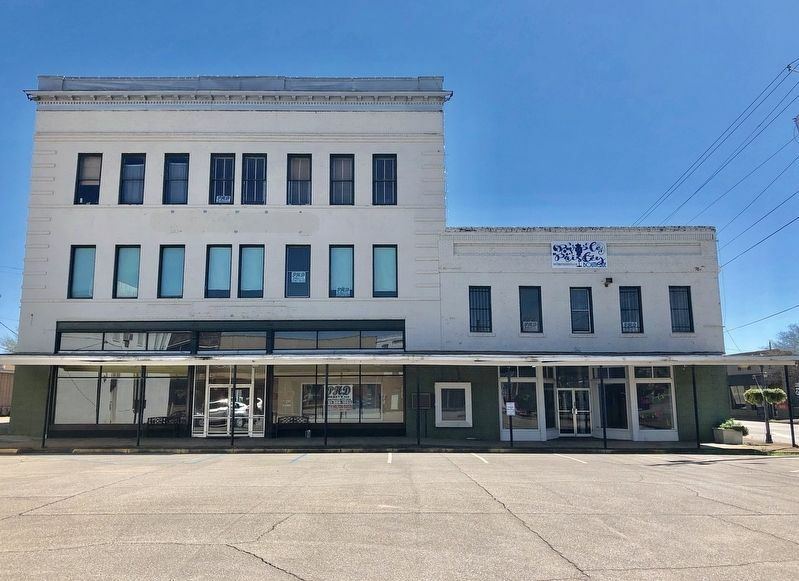 Search the internet for The Robbins & McGowin Building. Credits. This page was last revised on March 7, 2019. 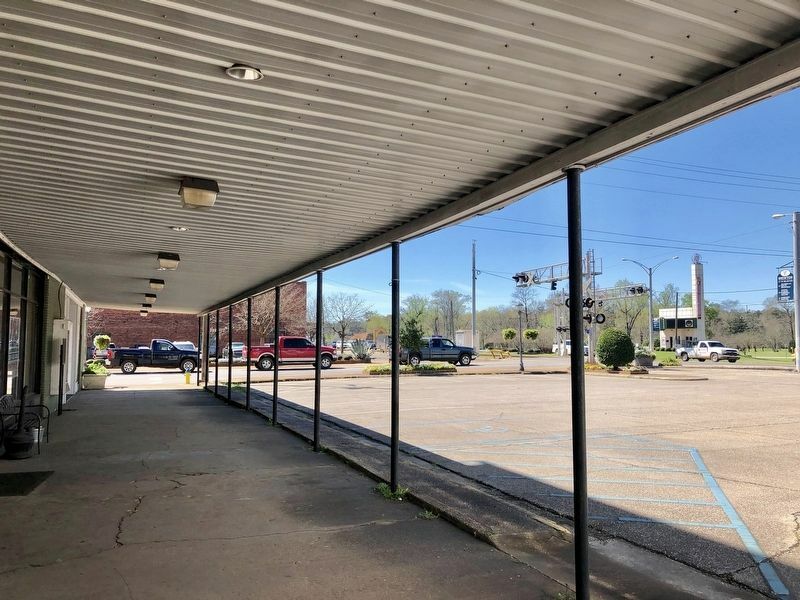 This page originally submitted on March 7, 2019, by Mark Hilton of Montgomery, Alabama. This page has been viewed 55 times since then. Photos: 1, 2, 3. submitted on March 7, 2019, by Mark Hilton of Montgomery, Alabama.